Coral and navy blue are great contrasting colors. The navy brings the darkness of fall the fall season, but the coral adds a fun feminine touch. Add some holographic feathers and you have a cute boho mani. 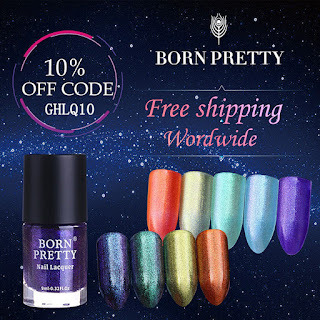 I received this nail foil transfer adhesive glue from Born Pretty Store in exchange for an honest review. I never got into transfer foils that much, but I think that was because I was using the wrong glue. This makes the process so easy! You can paint the glue on like nail polish, and it dries super fast. 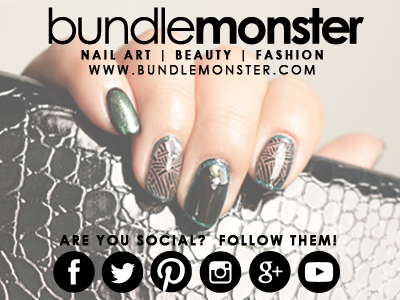 And the ease of application means you can cover the whole nail, or just do dry brush sections. But be advised that it is very sticky, so when attempting full coverage foil patterns, make sure the placement is right. Any slight touch to the adhesive, and the foil is stuck. Apply the base color using Too Much Sauce. Use Serving Up Sass to add dry brushing from the base of the nail to the tip. Fill in the base of the nail so the base of the nail is completely blue.